Brown Street Inn Iowa City Bed and Breakfast located near downtown. Advanced full payment by check or credit card at the time of reservation for all UI home football game weekends, UI graduation weekends, special event periods and UI Summer Writers Festival period. 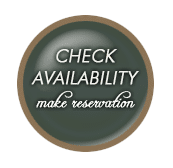 Reservations for 2 or more rooms, when available require prepayment of 50% at Brown Street Inn Iowa City. Cash, check, Mastercard, Discover and Visa accepted. Refunds may be made under the following situations: UI home football game weekends, UI graduation weekends, special event periods and UI Summer Writers Festival period: NO refunds unless room can be rebooked. All other times: cancellations within 15 days of stay may be refunded, less $25 processing fee, if the room can be rebooked. Cancellations before 15 days of stay will be refunded in full. Limited extended stays based on availability. Contact Innkeepers for details. Well-mannered young adults over 12 are welcome. Please discuss with Innkeepers at time of reservation. Smoking limited to outside only. A minimum of $250 may be charged for special cleaning if this policy is abused. No pets. Social drinking only. From I-80 Exit 244-Dubuque Street: Go south on Dubuque Street for 2 miles to the third stop light (Church Street). Turn left and go three blocks to Van Buren Street. Turn left and go three blocks to Brown Street. The Inn is on the corner of Van Buren and Brown.From I-80 Exit 246-Dodge Street: Go south on Dodge Street for 2 miles. Dodge Street becomes a one way. At Brown Street, turn right. Go two blocks to Van Buren Street (stop sign). The Inn is on the corner of Van Buren and Brown. We are not able to accommodate pets. We have a pet cat who stays in our private quarters and enjoys greeting guests on the front porch.